The village of Salang is a sleepy little cluster of chalets, dive schools and a few provisions shops. 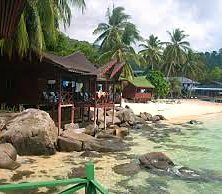 If you're looking for accommodation here for your visit to Tioman, then, as a regular scuba-diver in Tioman, I can recommend Salang Indah, especially to my fellow frogmen. 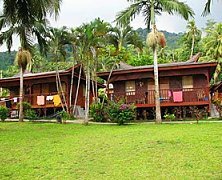 In fact, Salang Indah is the scuba community's de-facto accommodation of choice, because it's a rather basic kind of lodging at a rather budget kind of rate. It's not for nothing that guests at Salang Indah tend to be almost exclusively scuba-divers. Why? Well, for one thing, Salang Indah is close to a number of Salang's dive outfits. As a matter of fact, Salang Indah and scuba-divers are a great match: we just need a bed to crash in in between our scuba dive sessions, and a roof overhead during the night. The picky ones amongst us need air-con, but plenty of others are content with just a fan. Given these basic needs, Salang Indah hits the sweet spot for scuba-divers. Although that said, back-packers and other budget gravitate towards Salang Indah too. 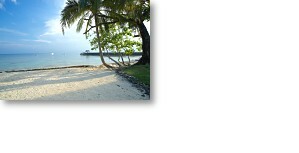 That means that the discerning traveler has no business staying in Salang Indah. I mean, to those that insist on a spanking new room, a shower with oodles of water pressure, an abundance of wall power points and daily room service, I humbly suggest you find another place to stay. Obviously, you'll end up paying more, but to each his own. What I fail to understand is how some travelers book a Salang Indah chalet at a rock-bottom rate of RM40 per night and then grumble online about there not being hot water in the bathroom, or how they saw a mosquito in their room. News flash: Yes, Salang Indah is a little rough around the edges, and as such, it's not suitable for quite everyone. But if you're looking for a very affordable, yet decent place to stay, Salang Indah is it. Actually, Salang Indah, in spite of its cheap room rates, has quite a lot to offer. For starters, Salang Indah has dozens and dozens of different rooms, in all kinds of configurations: air-con/fan, number of beds, hot or cold shower, etc. So you can always find a room to your liking, even if you're in a big party. And, typically, the rooms are adequately clean and quite spacious. No complaints on the room front. The other great plus of Salang Indah, as compared to some of the other accommodations in Salang, is that Salang Indah is conveniently located. For instance, it's just a short 5 minute stroll from the main Salang jetty. In fact, the beach, too, is a mere stone's throw away from the chalets and some of the chalets even have a nice little sea view balcony. Awesome sunsets guaranteed. Other amenities within a walkable radius of Salang Indah are a well-stocked supermarket and the various restaurants. Breakfast at Salang Indah is quite tasty, but for variation, we tend to head out to the surrounding restaurants to have lunch and dinner. Need Wi-Fi? Salang Indah has it. They charge something like RM10 per day, but more often then not, they close one eye when you log in for longer. It's not the speediest of connections, but it does the emailing and/or Facebook jobs, no worries. By the way, if you're into snorkeling, then knock yourself out, because the sea opposite Salang Indah is as clear as gin and there's plenty of beautiful and lively coral patches to explore. 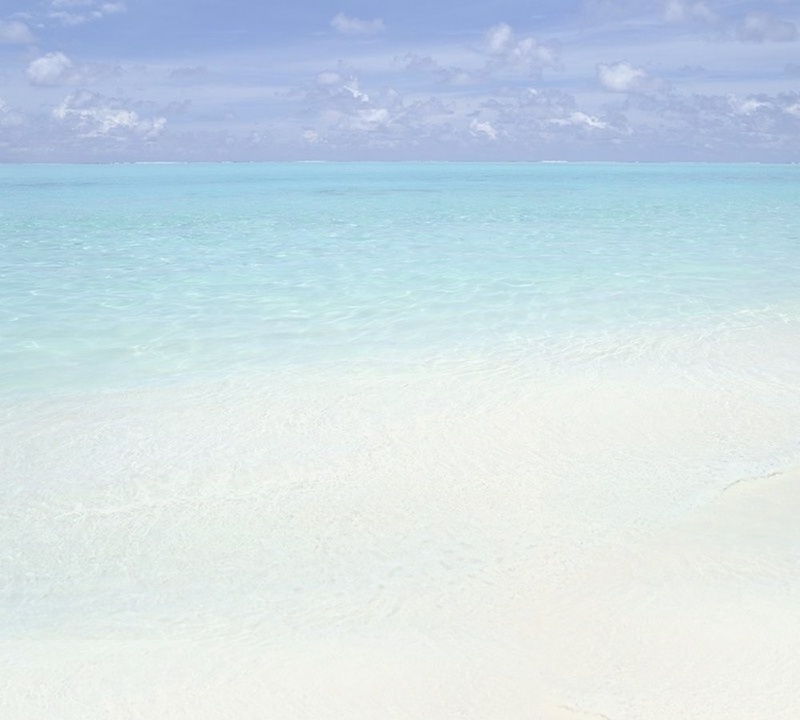 Tip: Typically, demand for the chalets, especially the ones built over the sea water, is high during weekends, school holidays and public holidays, as scuba divers from far and wide swoop in to score a budget room. In other words, pre-booking is recommended. For instance on Agoda or Booking.com (You can book now and pay later). Need a decent room at a decent price?